Looking for silver foliage plants to fill in or to highlight the showy blooming plants in the garden? Artemisia Powis Castle is a bushy sub-shrub with a fine textured leaf structure that blends well with flowering perennials and annuals alike. The reds of the zinnias or our native scarlet sage pop when surrounded with Artemisia as do the yellows of marigolds. Powis Castle frames the blues of Mexican sage. Pair Artemisia Powis Castle with a golden lantana, and the blooms appear to float on a pillow of silver foliage. Powis Castle is a nice addition to an herb garden, especially when paired with the stems of rosemary, or placed next to Mexican mint marigold. It creates textural interest when added to a bed containing ornamental grasses and looks great paired up with blooming wildflowers, especially some of our native yellow daisy types. Mix the mounded Powis Castle in a bed with native butterfly plants like Scorpion tail heliotrope, Heart Leaf hibiscus, Crusita or Gregg’s mistflower, Brushland lantana and Turks cap and we have a south Texas version of the cottage garden, all enjoying the heat together while providing nectar for the butterflies. Powis Castle is drought tolerant and evergreen in warm winter climates such as South Texas. When temperatures dip below 35 degrees, protection is recommended. 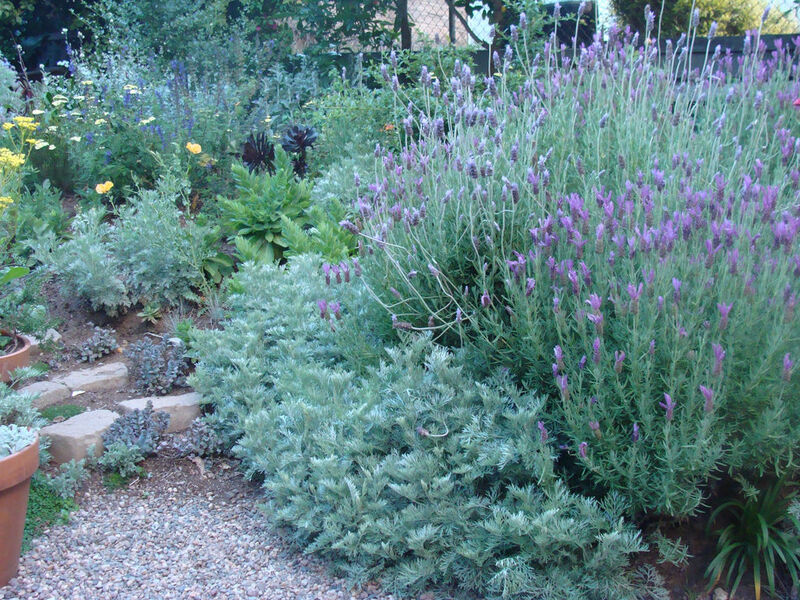 This Artemisia requires full sun, but will tolerate some light shade from afternoon sun. It will not survive heavy shade. Good drainage is a must, so it does best in raised garden beds, especially when we have a week of rains in South Texas. Powis Castle easily reaches a height of 2 to 4 feet, with a mounding habit of about the same width. It will look best if trimmed to keep it between 2 to 2.5 feet. In late January, trim it back to a height of about 12 inches (never cut it to the ground) to avoid leggy growth in the spring. It will produce insignificant small yellow flowers. To prolong the life of the plant, trim these off. There are over 300 species of Artemisia and most of them originate from warm, dry regions of Africa or the Americas. Artemisias do not seem to have serious insect problems, but they will not tolerate poor drainage. The Powis Castle is a great garden plant that thrives in a wide range of soil types. Ask for Powis Castle Artemisia at your local nursery. They are most likely to carry this small, versatile silver jewel. And, for a great selection of native butterfly plants, you can find those mentioned above at the Growing Growers Farmers Market today with Toni Treviño of Rancho Lomitas Nursery. The market is open from 9 a.m. to noon every Saturday in Firemen’s Park, located on the corner of 1st Street and Business 83 in McAllen. Barbara Storz is a local horticulturist. You can listen to her garden show at 7 a.m. Saturdays on 710 KURV Radio. E-mail her at bstorz@rcommunications.com.